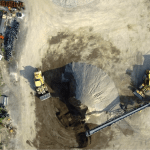 Inspection, Barrie, ON | Canadian UAV Solutions Inc. 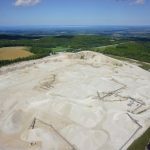 Inspection, Barrie, ON | Canadian UAV Solutions Inc.
Let us help you with an inspection you may have put off because it is in an area that’s difficult to get to. Sometimes performing an Inspection can be treacherous to access, which leaves you putting off having the inspection done, even though you know it would be best to do it more frequently. If you have situations such as this, give us a call at Canadian UAV Solutions Inc. We serve the Barrie, Ontario area with the perfect solution. Depending on your particular need, we’ll utilize our military-grade UAV multi-rotor for 30x zoom video and HD photography or our thermal camera to assess any structure, tower, or antenna with the highest detail. With our expertise, you can manage even more than you thought possible, going even further than just an Inspection. Since we can gain a unique perspective that cannot be captured by full-sized, manned aircraft or traditional ground crews, you can get eyes on whatever project aspect you need to monitor. We follow strict safety requirements, including never flying over people on the ground. Our pre-flight safety and equipment check ensure you get the images you desire. If you have been concerned about your crew’s exposure to hazardous work sites, elevated heights, unsafe areas, you will be able to put those fears to rest. If you have any questions about how our inspection services can make a difference for your company, don’t hesitate to contact us. We perform inspections on building envelopes, communication towers, wind turbines, solar panels, roofs, and much more. Call today to learn more.